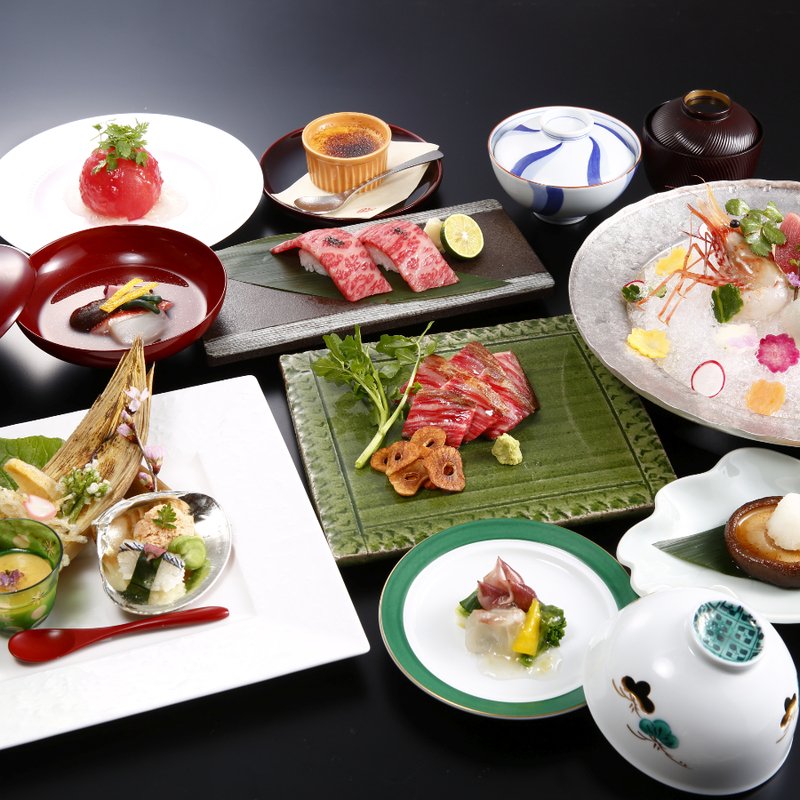 Elegantly prepared food of the highest quality. 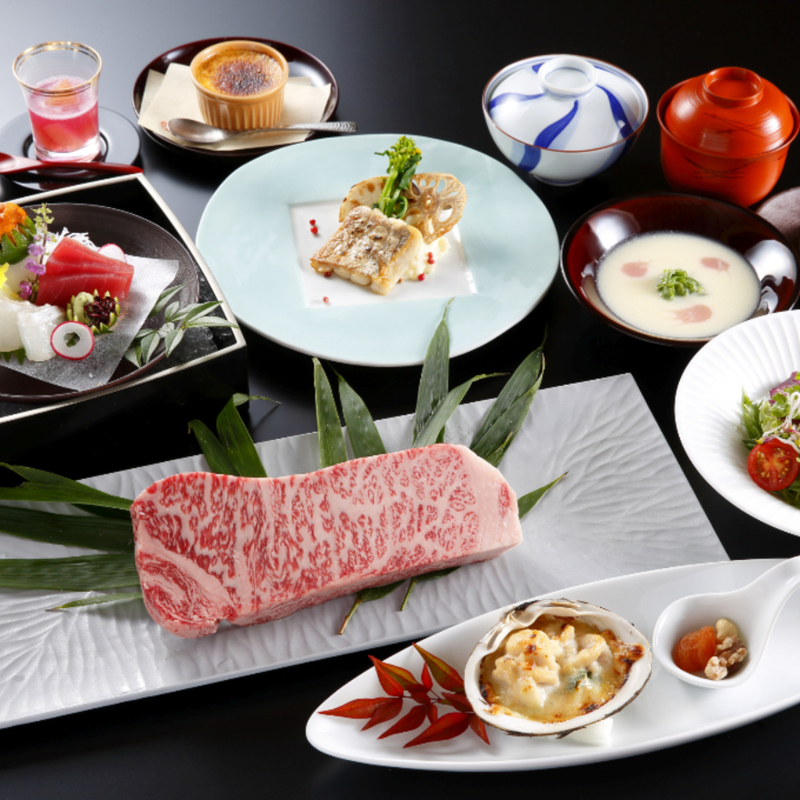 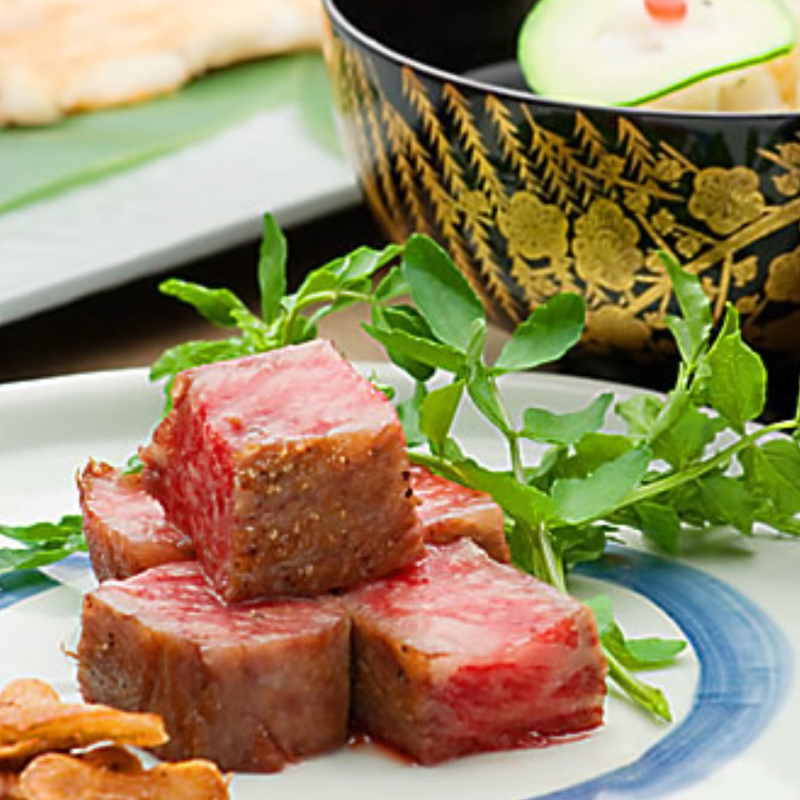 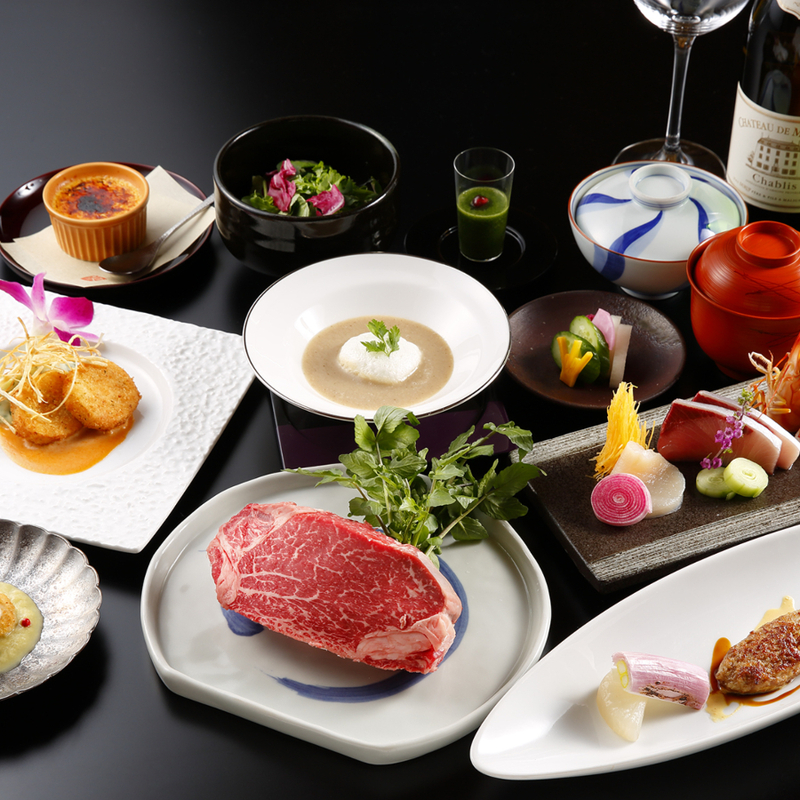 *Diners may upgrade their meat to Yonezawa beef for an extra charge. 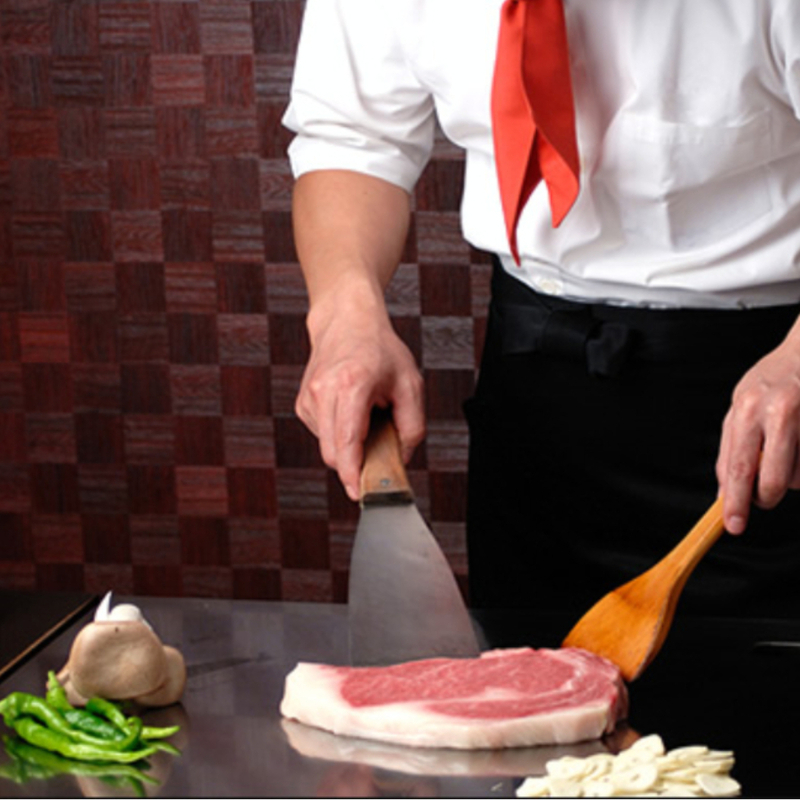 *Diners may order larger servings of meat (100g and up) for an extra charge. 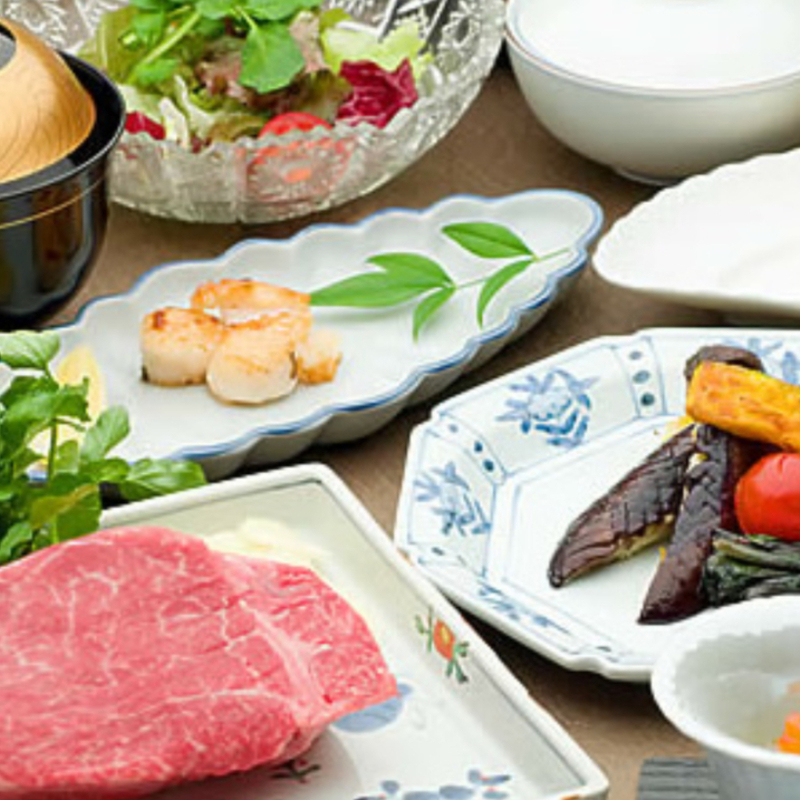 *Diners may substitute garlic rice for white rice for an extra charge.